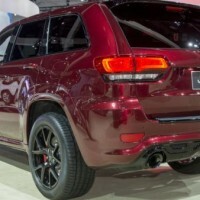 The current model of the Grand Cherokee has been around for nearly five years and it is expected to be kept on the market for at least a couple more. While this year it did not receive any obvious updates, the car has been released at the Los Angeles Auto Show a while ago in an entirely new trim level. 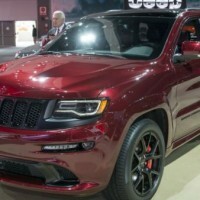 The 2016 Jeep Grand Cherokee SRT Night is a unique take on the high performance SUV and we truly think that it is, by far, one of the best looking Grand Cherokees ever made. 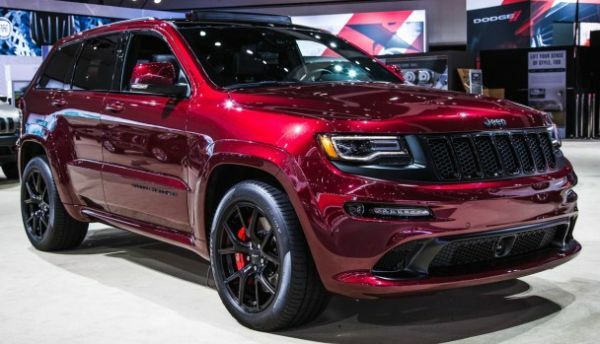 Just like with the usual SRT, the Night version features pretty much the same powertrain and internals but the interior and its exterior are the different features of the car. 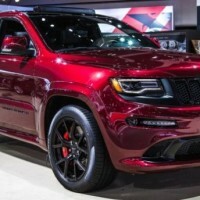 Unfortunately it is not the Trackhawk 707 horsepower monster everyone was expecting it to be but we still hope that some time next year Jeep will finally release their high performance SUV to make everyone’s day. 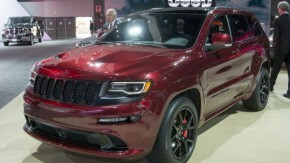 The Night edition on the other hand will be available quite soon and the price is expected to be only around $2,000 more than that of the base SRT which is very good value for money already. 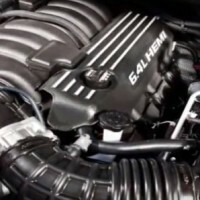 Under the hood of the 2016 Jeep Grand Cherokee SRT Night there is a 6.4 liter naturally aspirated V8 which is not the most powerful or even the most refined but it certainly is one of the best engines out there. 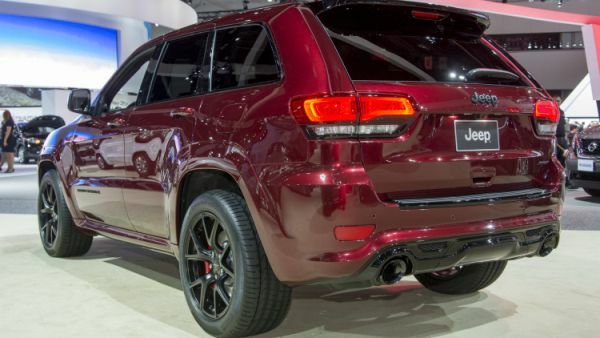 Just like with the usual version of the SRT, the Night will continue to provide up to 475 horsepower and 470 lb-ft of torque, all of them being routed via an 8 speed automatic to a standard all wheel drive system. This will allow the car to get to 60 MPH in just 4.8 seconds and up to a maximum top speed of 160 MPH, pretty impressive for an SUV. The only drawback of this setup will be the off-road capability of the car which will be worse than that of many other cheaper cars. However, it will remain one of the fastest on-road SUVs which is still very impressive. The exterior design is the biggest change of the Night version over the usual SRT and while it may not be clear at first, the car does look promising. The front end has been revised with new LED daytime running lights while the rear exhaust has been blacked out. 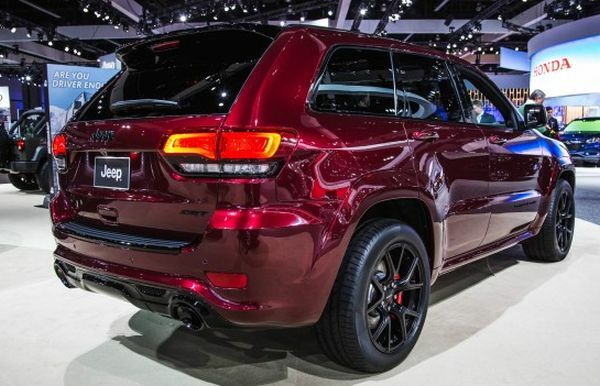 Also, all the usual chrome on the car has been replaced with gloss black inserts and its emblems are gloss black as well which make for a really nice contrast, especially with the three special colors Jeep decided to offer the car in such as Velvet Red, Billet Silver and Granite Crystal. The wheels are all new as well and they are unique for this model only. The headlights’ housings as well as the wheels and the rear plastic shield have all been painted in satin black which together with the gloss black on the rest of the car make for a really menacing look. 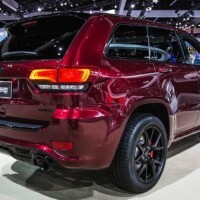 Inside the cabin on the other hand, the 2016 Jeep Grand Cherokee SRT Night is quite similar to its usual counterpart. However, there are a few changes as well which are meant to create a more complete experience. 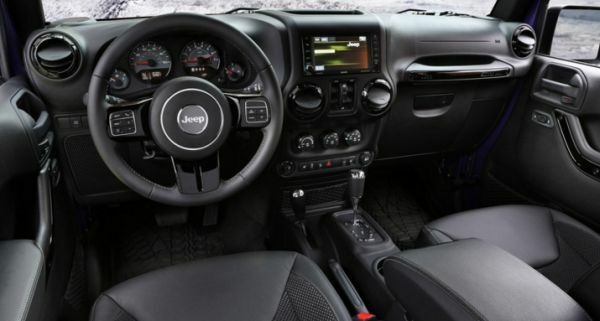 This means that the usual chrome inserts on the dashboard, steering wheel and even the center console have been replaced by gloss black accents while the previous shiny aluminum parts are now matte which makes for a really interesting design. In order to continue the look, the seats as well as the floor covers now have silver stitching which perfectly completes the matte aluminum. The wood on the dashboard has been replaced with carbon fiber as well which makes for a sportier look.